There is nothing like enjoying a slower paced lifestyle and making your own clothes. Not only do you support a vital industry but you acquire a unique skill set and an acute appreciation for fine stitching. Over the years, making has taught me so many things but most importantly it taught me how to take life more slowly and enjoy the process and appreciate the materials. This post is part of My Handmade Wardrobe series, follow the link for more knitted items for children and adults. I get really excited when I see two designers I love collaborating and Joyce i.e. the hat above is what happens when Stolen Stitches meets Woolly Wormhead. For those of you who are deep into the knitting world, yes Joyce was Woollys last MKAL (mystery knit along) and the reason why I’m only showing it to you now is that it has been languishing in that WIP (work in progress) pile and the frog or finish session currently happening is what made me cast this little beauty off. I really enjoyed knitting this pattern and you can find the pattern available for download here. The thing about Woolly’s patterns that keep me coming back is not her enthusiastic love of the circle but how each project is short, manageable and I come away feeling like I have mastered another knitting technique. Mystery knit-alongs are something that I approach with caution, I’m a knitter who needs to know what I’m making but for the last few years I have been looking forward to Woolly’s annual knit-along with glee. As soon as she drops that information I’m freeing up needles and hunting down yarn. Joyce was no exception and I love the colourwork pattern worked on reverse stocking stitch. As they say, the devil is in the details and with Joyce, the really clever part is when you are working the pattern around the beginning of the round. I love how Woolly’s mind works when it comes to construction and another lovely touch are the colourwork decreases. I love them so much I’m not hiding them under a pom pom but using a button instead. 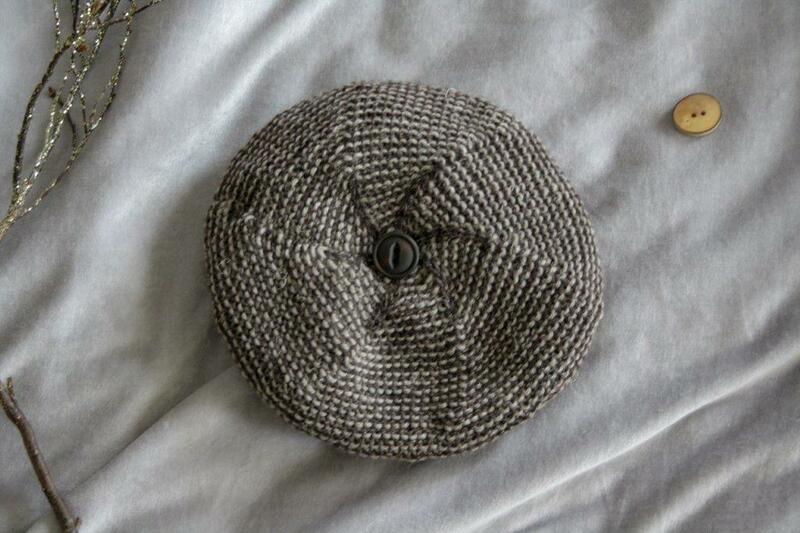 The inside of the Hat is pretty nifty too! Nua yarn is something that I love working with (No Carol did not pay me to say that). It feels like pure luxury running through my fingers. I was wondering about it piling but after a year of wearing my cowl I can say that I’m pretty happy with it. IT’s lightweight but incredibly warm and every time I knit with it I end up queueing another project just so I can continue working with it. 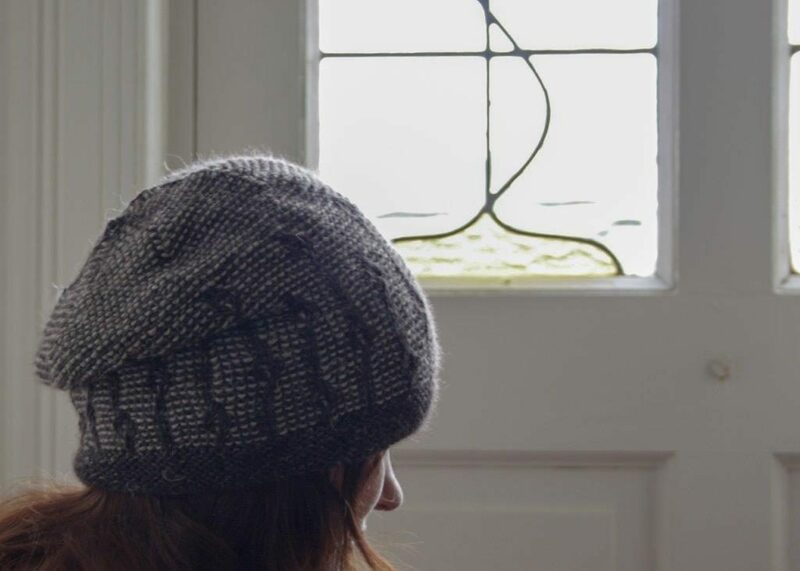 The pattern and yarn together make this something truly special. The colour palette of Nua really allows you to make this striking or muted. 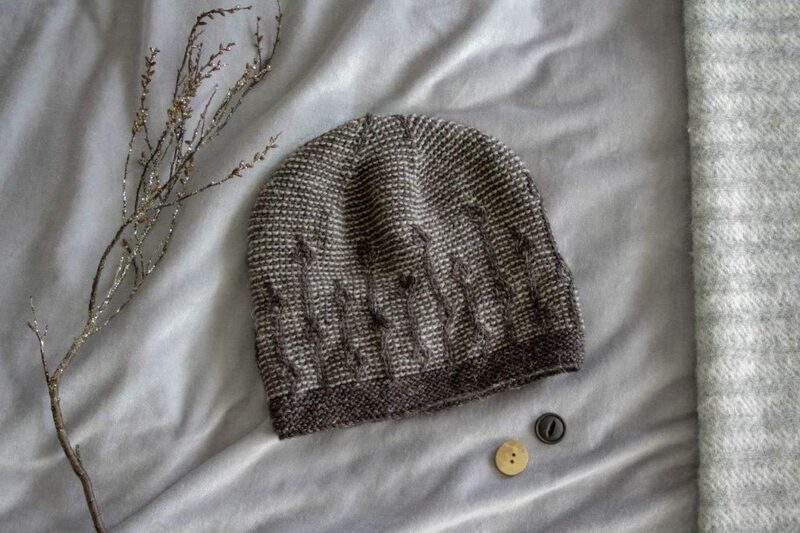 I opted for Capall and Bare Necessities both of which you can see at the above link and you can see some wonderful other combinations by fabulous knitters over here. Nua is a yarn that is alive and by that I mean textured. The combination of Yak, Linen and Merino wool is pure luxury. Each different fiber picks up colour in it’s own way giving the yarn a depth that I love without it being a semi-solid colour. It is happy to show off cables or lace but my advice for textured stitches is to work them tight as it can relax a bit on blocking. 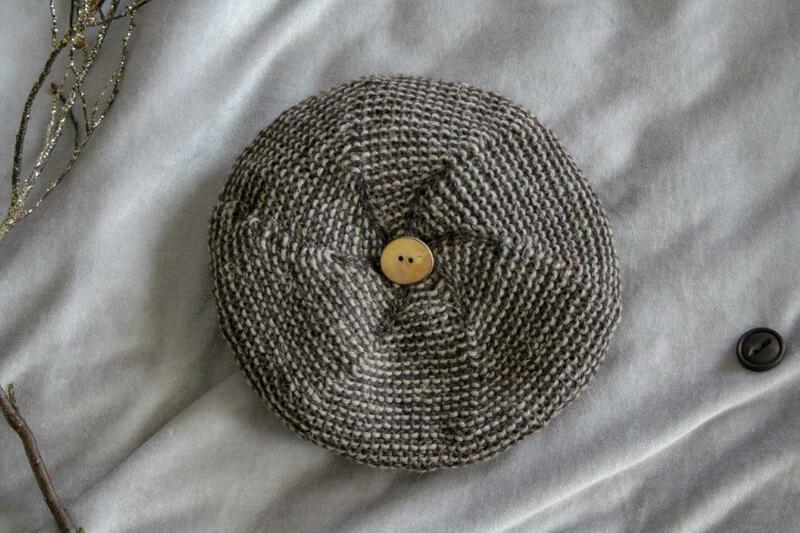 Currently, I am trying to decide between these two buttons to finish the Hat. (Yes that is a capital H because Woolly likes it that way) I’m drawn to the one on the right this morning but I keep changing my mind. Which do you like? The above image was taken by my 4 year old so apologies but she wouldn’t allow the tripod to be used. I worked this pattern with an extra few rows to make it slouchy before working the decreases. I cast on for the 18″ size ( I have a 20″ circumference) and I knitted the largest size in length before the decreases and I love how this fits. 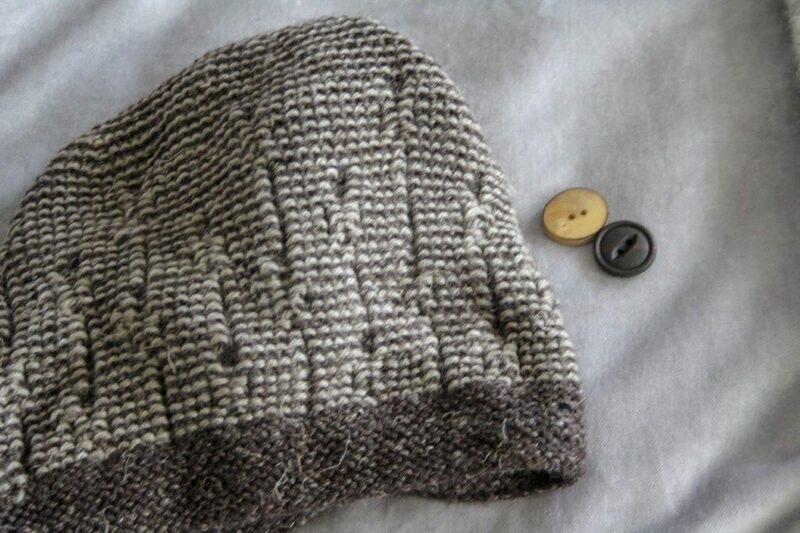 I can wear it back a bit on warmer late autumn days and snuggle down into it on those blustery cold snowy winter days. 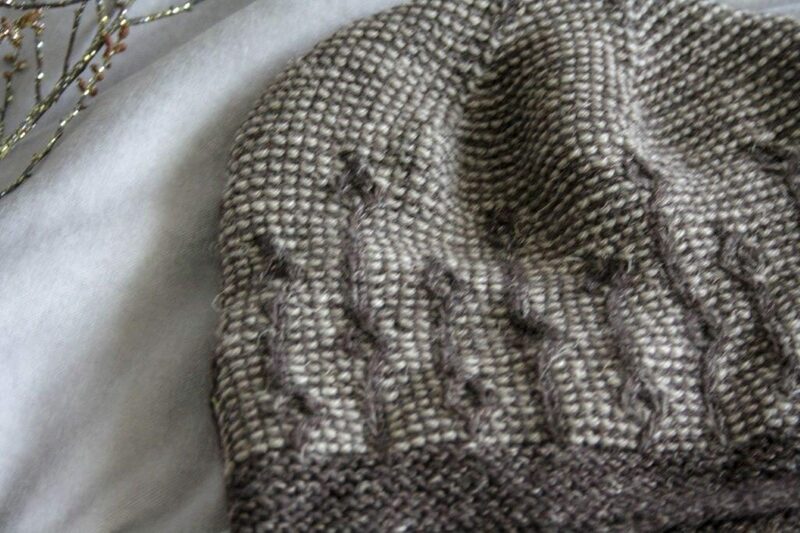 I really hope that you give this pattern a try with this yarn the combination is fantastic. The pattern also comes with tutorials and you can also find them on Woolly’s site here. Please note that all opinions are my own and I bought both the Nua yarn and the pattern for this project. Did you take part in the MKAL? Are you joining in the Frog or Finish giveaway? Let me know about your knitting adventures in the comments, I love catching up with you all.